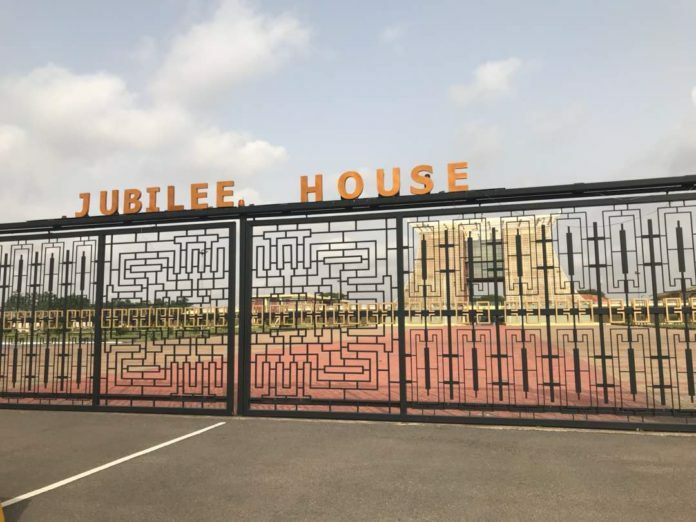 The staff roster at the Jubilee House – the seat of government – has reduced to 957, an official communication to Parliament reveals. The list which was two shy from 1000 last year sparked a major public outrage as President Akufo-Addo was accused of burdening the national purse. 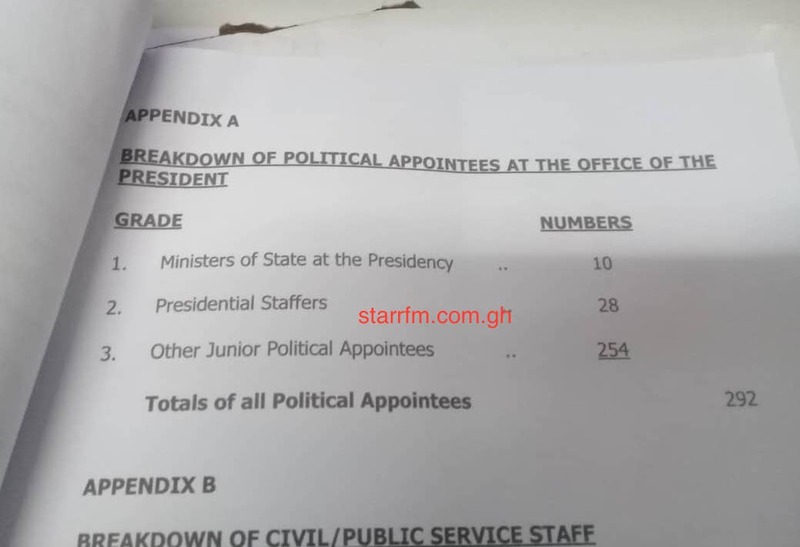 The breakdown reveals 10 Ministers of State at the Presidency, 28 presidential staffers and 254 other junior political appointees, bringing the total number of political appointees to 292. 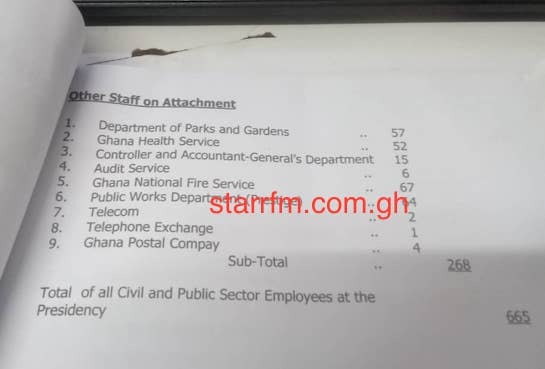 A total of 665 Civil and Public Sector employees work at the Jubilee House, the list stated. Starrfm.com.gh is Ghana’s breaking news hub of choice. Our award-winning portal delivers news in an unparalleled journalistic style than any other mainstream news site.